If there is one road in Alabama that is hated by many people it is U.S. 280. Highway 280 in the Birmingham Metro is used by 97,000 cars a day! You would think a road like this would be a 6-lane freeway but it’s not. The road started out as a 4-lane highway but development has taken hold of this corridor. From the Red Mountain Expressway all the way to Double Oak Mountain the highway is lined with many businesses, shopping centers, and homes. Here is a picture of what U.S. 280 looks like during a normal rush hour. U.S. 280 in Jefferson and Shelby counties has over 30 traffic lights to greet the drivers. 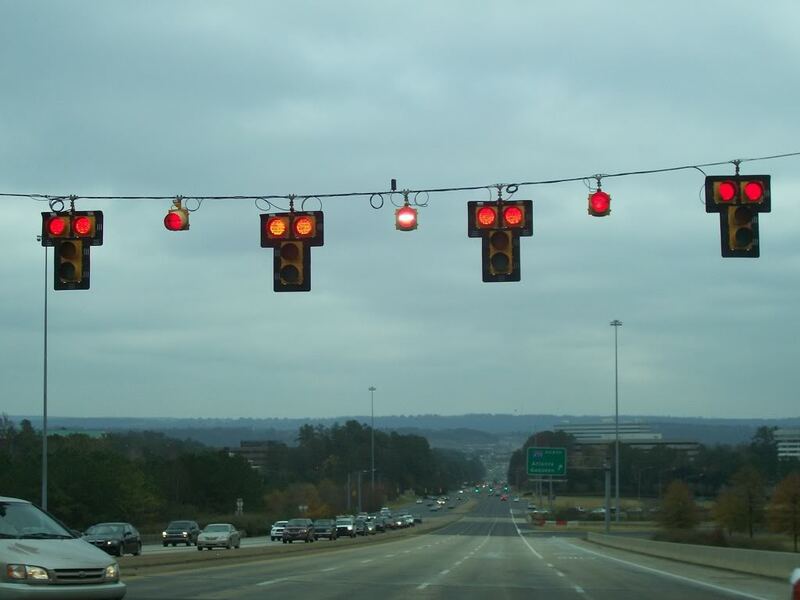 Although these lights are synchronized it does not help the traffic much. Because of all the development, drivers have to sit in stop and go traffic. 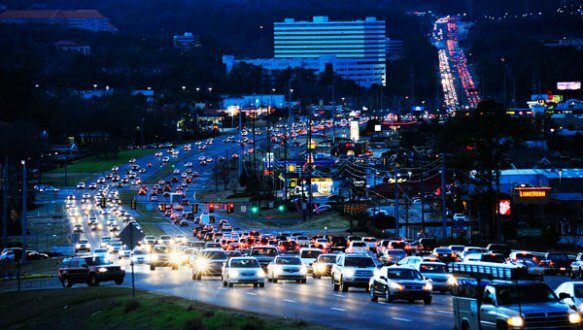 In most cities, development would be regulated to prevent massive traffic backups but not in Alabama. So because of the massive development along this corridor you have massive traffic. Birmingham has the most single car drivers than other major metro area in the country! There are a couple of reasons why this is the case. One, mass transit in the metro is not reliable. The BJCTA has an old fleet of buses that often break down, catch on fire, leak water, and even have bugs on board. The state of Alabama does not provide funding for mass transit like every other state does. This is a reason mass transit in Birmingham is bad. Also the city of Birmingham is a dangerous place to live. Many people does not like how the city of Birmingham is governed. Birmingham has one of the highest murder rates in the country. And the government of Birmingham and Jefferson County is one of the most corrupt in America. You know its bad when Jefferson County declared the largest municipal bankruptcy in American history. Also, when the mayor William Bell is shot at in downtown you also know its bad. Last week, the mayor’s security detail chased suspects who shot at the mayor. 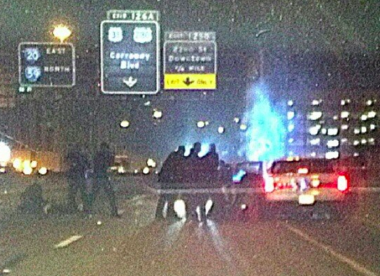 It ended on I-20/I-59 in downtown. 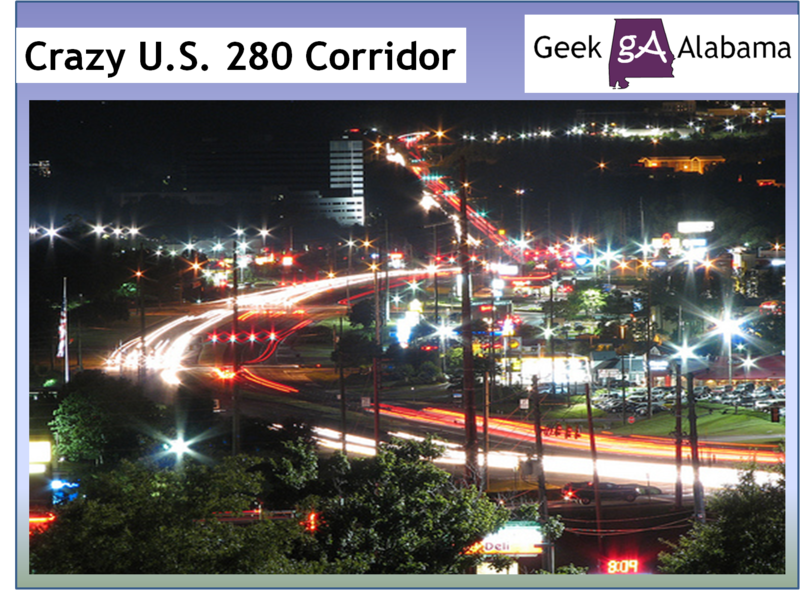 And now ALDOT is wanting to make some changes to the U.S. 280 corridor. First, they are installing a new computer system to better control the traffic lights along the corridor. But this next plan in the works is making some people upset. ALDOT is wanting to eliminate some intersections and traffic lights along the corridor to give more “green light” time to the traffic. One of these intersections is U.S. 280 at Cherokee Road. ALDOT is wanting to force drivers on Cherokee Road to get on U.S. 280 and make a U-Turn. Traffic on Cherokee Road wishing to continue on Cherokee Road would have to get on U.S. 280 and cross 3 lanes of busy traffic in a short amount of time to U-Turn. Then they would have to cross 3 lanes of traffic in a short amount of time to make the right turn back onto Cherokee Road. This is not the only intersection along U.S. 280 ALDOT is wanting to make these changes. In my opinion this is a very bad move from ALDOT. People’s safety would be at risk because of all of that traffic. U-Turns, in general, are one of the riskiest moves a driver can make because of the ongoing and oncoming traffic patterns which naturally come with this type of motor vehicle maneuver. Here is a video on what traffic does on U.S. 280. 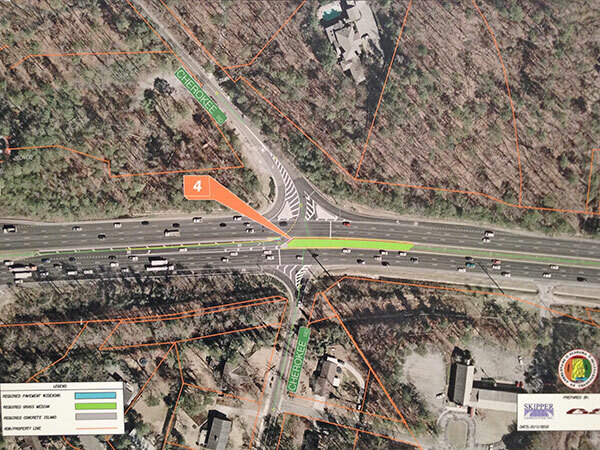 Here is another crazy plan ALDOT has along U.S. 280. They want to ban left turns from U.S. 280 to Valleydale Road and Cahaba Beach Rd. They want traffic to use two u-turn lanes to turn around. How that’s going to work? ALDOT has shown a reckless disregard for the public’s safety and a waste of taxpayer money in many projects across Alabama. That’s why they hate this blog and the writer Nathan Young. Geek Alabama does a weekly post called Roadscapes Wednesday which goes around and profiles infrastructure. And each week I can’t help it by bashing another crazy decision from ALDOT. U.S. 280 should have been a freeway when it was built but that did not happen. You know it’s bad when you have 11 red lights at one intersection. Birmingham also needs to invest in mass transit. Face it; until we get single car drivers off the roads, traffic will not get better. Birmingham has many old railroad lines that would be perfect for a light rail system. Also the buses could be smaller to save on gas and maintenance costs. I would even propose a new freeway that would connect from I-65 to U.S. 280 so traffic going to Auburn can bypass the traffic mess. I hope something can be done to solve the U.S. 280 traffic problems. We do have to fix the mess on 280! If you want to comment about the proposed changes to U.S. 280 you need to do it before 5 pm on Friday December 14th. Click on the link to e-mail ALDOT about these bad changes.